Art Gallery in downtown Troy, New York. From the Capital Region and beyond, the Clements maintain relationships with a wide range of artists. 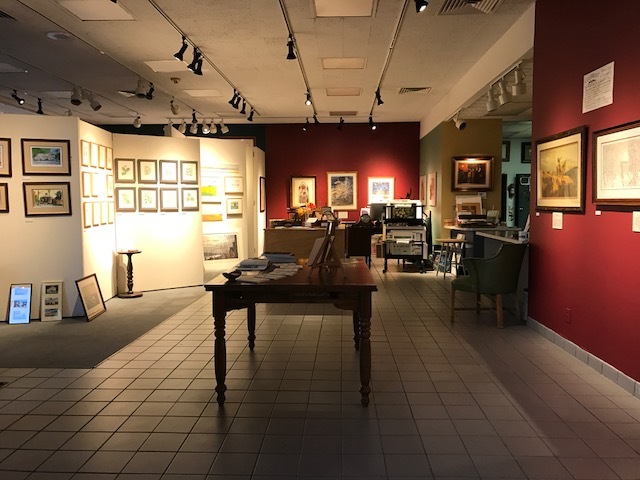 Visit our Art Gallery to explore a wide range of Fine Art options and for a glimpse into local history, explore our Antique Print & Map room. We take great pride in a 60+ yr history of quality custom framing. We offer an extensive range of framing options and each project is guaranteed to tastefully display & protect your valued possession. Don't settle for less than the best. Located on historic Monument Square in downtown Troy NY, the Clements and their shop are an established part of the area's business culture. Stop in for a chat with Tom or Ray about your latest project or catch up on stories from around the region. After more than 50 years in downtown Troy, the boys and their shop represent a piece of local history. Downtown Troy is in the midst of a Renaissance and this quiet little shop is at the center of it all. Don't miss your chance to visit. Any Questions? Please fill in the form below to contact the Clements.